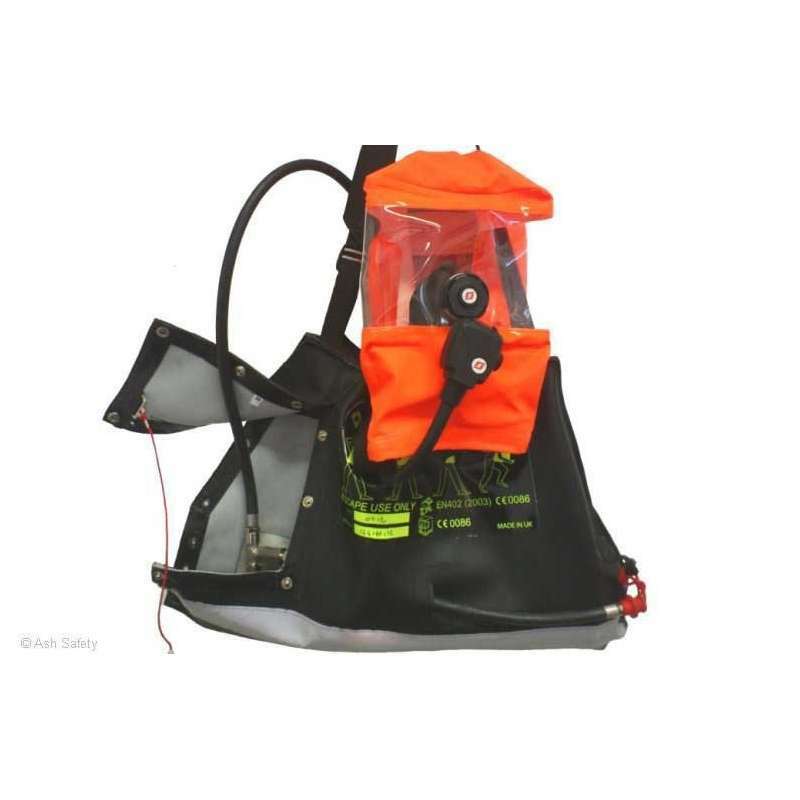 The Scott Safety Sabre ELSA Muster is a positive- pressure airline breathing system that is open circuit, supplied with either a positive- pressure hood or Panaseal positive- pressure face mask. The kit comprises of a high- pressure reducing valve, anti static bag, automatic positive- pressure demand valve and coupling for an airline supply hose. This emergency life support apparatus features automatic activation and a variety of couplings, allowing it to be compatible with a wide range of online systems along with a high-performance reducer. 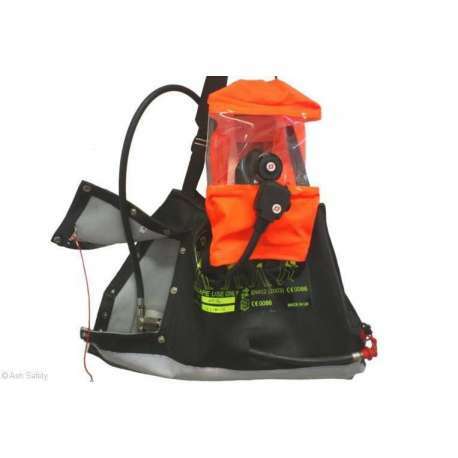 One of the major components of the ELSA Muster is the Tempest demand valve, which is a compact positive- pressure unit featuring a server- assisted tilting diaphragm mechanism and low inspirator resistance with responsive dynamic performance and automated first- breath activation. The combined cylinder and pressure reducing valve is made from nickel plated brass and has a pressure indicator and stainless steel DIN type charging connection. It features a large heavy duty handwheel, burst disc assembly incorporated into the valve and a low-profile pressure gauge. The valve cap and body are manufactured from nickel plated brass and the unit features stainless steel spring and hose retainer U clips. This pressure reducer can accept inlet pressures of 300 bar, although 10/15 minute units use 200 bar cylinders. It is fully EN402 approved.